The daughter of late iconic rapper Francis Magalona, Saab Magalona confirmed on Tuesday, June 3, via a post on her blog that she was indeed attacked by a purportedly intoxicated man recently. The actress-blogger recounted the incident saying that it happened at a private party organized by musician Ely Buendia at a hotel in Pasig. “I do not wish to downplay nor overplay the events that happened so I will only tell you this: yes, I was punched on the head several times by an intoxicated man. The unruly gatecrasher was part of a group of uninvited guests to an intimate and private birthday celebration,” she wrote. In the end, she thanked the fans for showing concern and support. 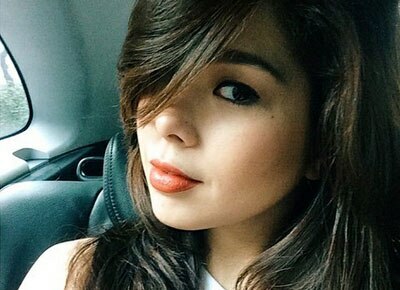 This wasn’t the first time that a Magalona was involved in a mauling incident. In 2012, actor Albie Casiño accused Frank Magalona and other men of attacking him at a bar in Makati during the height of the controversy between him and his ex-girlfriend Andi Eigenmann. Frank has denied any involvement in the incident and even maintained that he never saw Albie during that night.